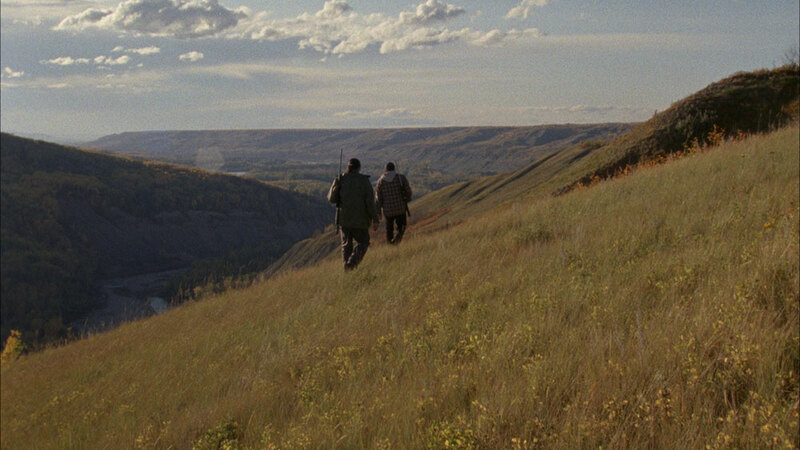 Brian Jungen and Duane Linklater, Modest Livelihood, still, 2012, silent Super 16mm film transferred to HD digital file, 50 min. Courtesy of the artists and Catriona Jeffries, Vancouver. 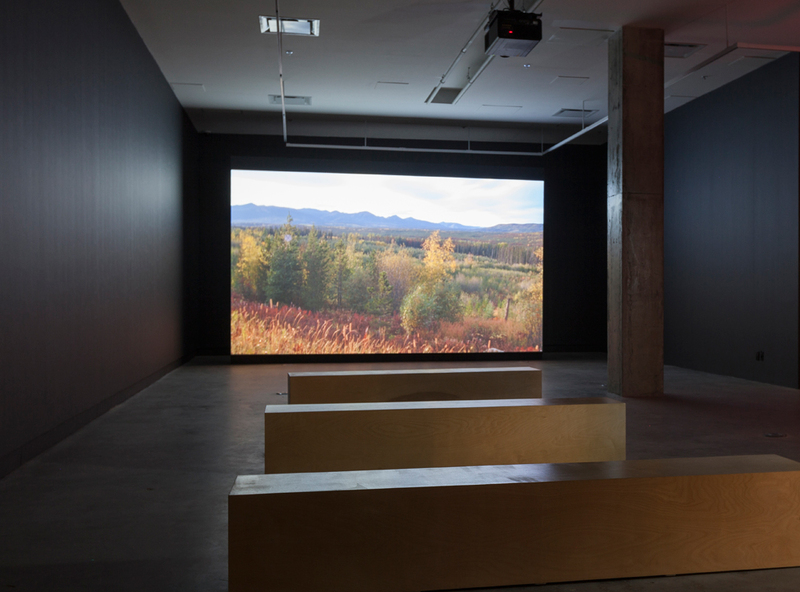 View of the exhibition Brian Jungen and Duane Linklater. Modest Livelihood, VOX, from September 11 to November 1, 2014. It seems a long time since I saw Brian Jungen’s exhibit of moosehide drums in a gallery in Chelsea, New York,1 each drum a little crazier-looking than the next, as if stretching the very concept of the drum along with the moosehide itself. What I thought then was that while the drum could be considered as something “authentic” and ancient (in so many societies), that by no means precludes it being “plastic” and fanciful, playing games with authenticity as well as with ethnic identities. It was subtle, unforced, and simple. Brian told me that he learnt to make drums with his uncle, who supplied the hide —and then asked if I would like to join in a moose hunt. Well, that hasn’t happened, yet, but at least I got to see the 16mm film he and Duane Linklater made called Modest Livelihood, which includes that very same uncle. The irony seems obvious enough, but I am more intrigued by the actual modesty of the film as film, especially its speechlessness (and soundlessness), which casts a special pall or “through a glass darkly” feel on watching it. Georg Simmel once observed that “the one who sees, without hearing, is much more. . . worried than the one who hears without seeing.”2 Hence I strain to look at and into the film as if I was some sort of hunter, too. I am disoriented. I have little idea what’s going on or what things mean. Were it not for the professionalized description provided by the gallery, the viewer would be pretty clueless—which is one way, I think, of engaging with the film. You are thrown in at the deep end, sink or swim, and the usual suspects when it comes to the issues of hunting—namely, ethnic identity politics, gun control, gender, and the environment—are, to some extent, unmoored. Of course it could work the other way, too: that we unconsciously filter what we see through our prejudices and expectations. This is the gamble the film takes, bearing in mind that gambling is not that different from hunting. What you get, in spades, is close description of the landscape through which the hunters walk, together with an invisible tension woven into their gait (you find much the same with Turgenev’s Hunting Sketches).3 The trees bend with the wind, at times the river glistens like a magical serpent aglow, the sun runs straight into the lens through close-ups of river reeds, and always the perplexed and alert bodies of the hunters remind us that we are engaged with some sort of meeting with destiny. Mysterious signs make them pause for a moment, but we don’t often get to see faces, other than behind the mask of binoculars. They see, but we don’t see what they see. Our hunting is of another nature. Here at the end, another landscape intrudes as night falls on the glistening snow and the hunters with urgent haste eviscerate the animal. The landscape of vistas, of a nature “out there,” changes to close-ups of an “in there,” also known as the optical unconscious, in which the camera reveals unexpected textures and shapes. A great rib cage like the interior of a ship emerges, with blood and fat spread out on the snow like a halo. The hands work frenetically, cutting sideways through the sponge-like, foamy fascia connecting the body to the skin, to this vast tent-like skin. Finally done, the skin is tightly rolled and inserted into a dark plastic bag, like some conjuring trick from which, eventually, who knows, may emerge more strange drums. 1. Casey Kaplan Gallery, 525 West 21st St., New York, NY, September 8–October 22, 2011. 2. Quoted in Walter Benjamin, The Arcades Project, Cambridge, MA, and London, England: The Belknap Press of Harvard University Press, 1999, p. 433. 3. This classic of 19th-century Russian literature and the literature on hunting is outstanding for its controlled lyricism and gentle description of nature, with, however, barely a word on the kill. 4. Carlo Ginzburg, “Morelli, Freud, and Sherlock Holmes: Clues and Scientific Method,” History Workshop Journal, No. 9, (Spring 1980). 5. Taken from José Ortega y Gasset, Meditations on Hunting, trans. Howard B. Westcott, New York: Charles Scribner’s Sons, 1972, p. 110–11. 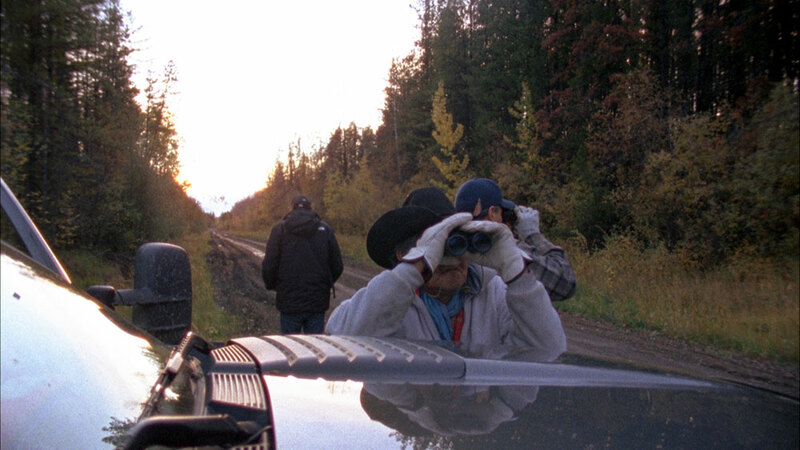 Brian Jungen and Duane Linklater’s collaborative film Modest Livelihood follows the artists as they set out from Fort St. John, British Columbia, on a series of moose-hunting trips. The film’s premise alludes to a 1999 Canadian Supreme Court ruling that validates First Nations hunting and fishing rights for a “moderate livelihood,” but not in order to accumulate wealth. 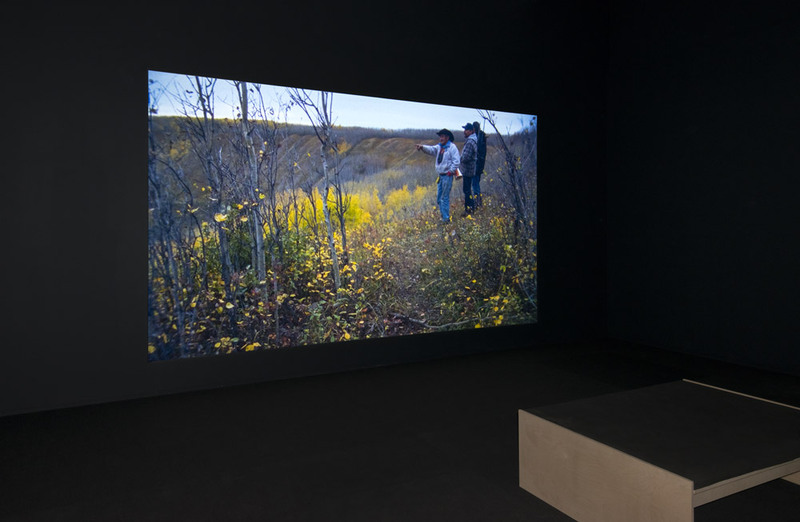 For Jungen—a Swiss and Dane-zaa First Nation artist internationally recognized for his sculptures—and Linklater—an Omaskêko Cree working with moving image and performance to portray Native oral histories and learning methods—the act of hunting is connected to their identity and heritage. Shot in Super 16mm by a professional camera operator, Modest Livelihood collapses documentary and narrative genres, and acknowledges anthropological documentary films produced by the National Film Board of Canada, such as Cree Hunters of Mistassini (1974). The silence of the work is deliberate, encouraging us to contemplate the sacred nature of what we are witnessing. 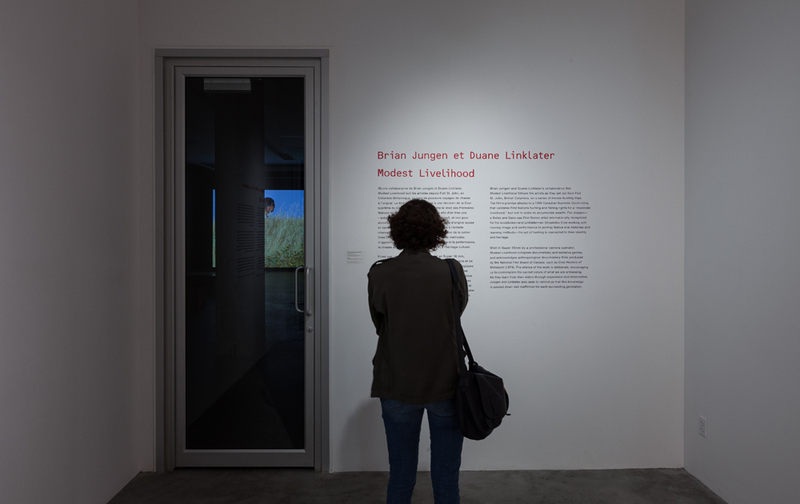 As they learn from their elders through experience and observation, Jungen and Linklater also seek to remind us that this knowledge is passed down and reaffirmed for each succeeding generation. Adapted from Art Gallery of Ontario texts. 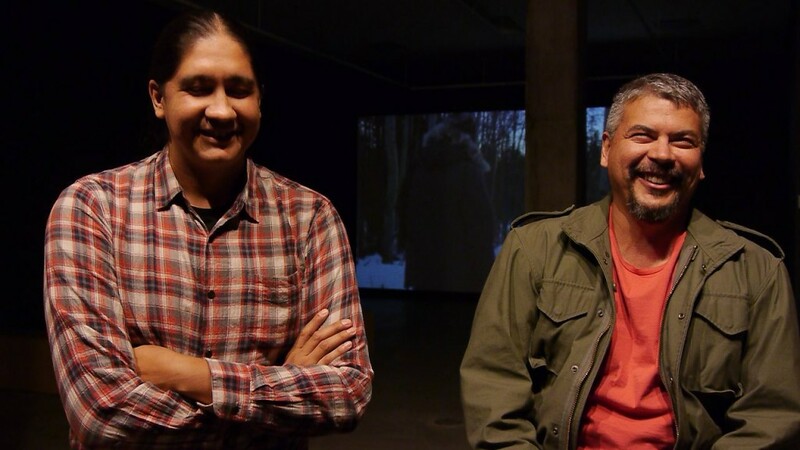 Discussion with Brian Jungen (a Swiss and Dane-zaa First Nation artist who was the first recipient of the Sobey Art Award in 2002) and Duane Linklater (an Omaskêko Cree who notably earned the same distinction in 2013). Interview with Brian Jungen and Duane Linklater during their exhibition Modest Livelihood, presented at VOX.